In France, MSF continues to assist migrants and refugees living in inhumane conditions in a hostile environment. Large numbers of refugees and migrants continue to live in inhumane conditions in a hostile environment in France. In Paris, northern France and at the border with Italy, migrants and refugees encounter policies and practices aimed at preventing them from settling or claiming their rights. The medical and administrative reception and orientation center for unaccompanied minors in Pantin. 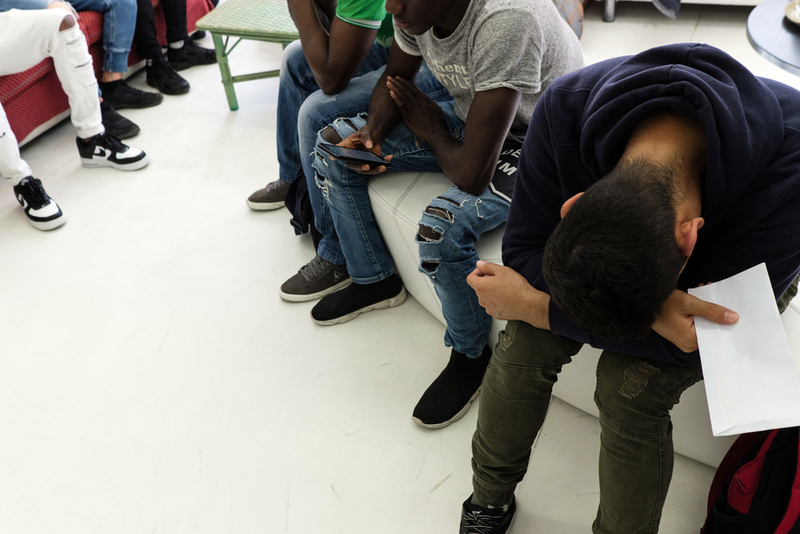 Unaccompanied minors are among the most vulnerable, often arriving alone in France after arduous journeys, and having to deal with a lack of information, inadequate reception facilities and a maze of administrative bureaucracy making it impossible for them to even register their claims. Some manage to apply for child protection and, if recognised as minors, are looked after by children’s services. But those whose claims are turned down are excluded from the legal system and denied any further assistance. Every day, the young refugees and migrants have lunch at the orientation center. 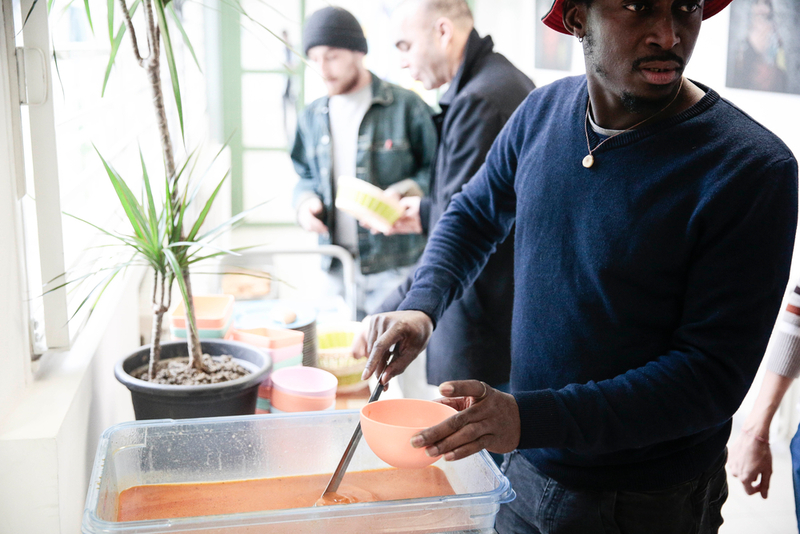 In December, MSF opened a day centre in Pantin, in the suburbs of Paris, to offer unaccompanied minors respite, medical care, and social and administrative support. In cooperation with several associations and lawyers, MSF teams follow up each individual case. 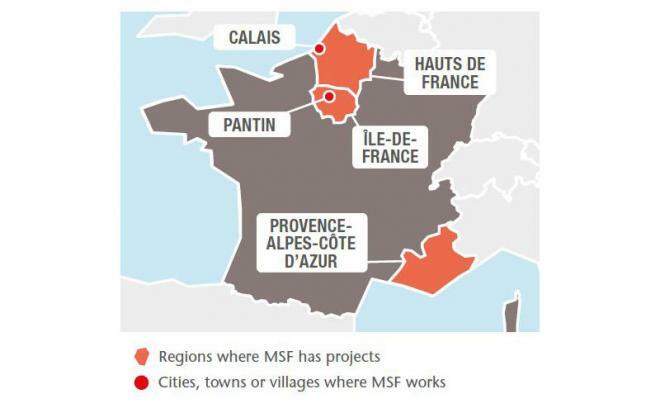 MSF also monitors the situation across the country, with a specific focus on northern and southeastern France. Teams provide assistance either directly or by supporting other organisations already active on the ground.